The Stress & Rescue Diver program develops your knowledge and skills so you can effectively perform diver assists and rescues, manage diving accident situations and render first aid. This program is an important step in expanding your knowledge and experience as a diver. 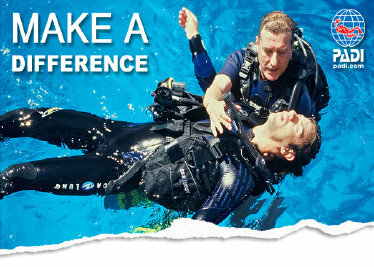 The Rescue Diver certification is also a prerequisite for all scuba diving leadership programs. You must be certified as an Advanced Open Water Diver or equivalent to begin the Rescue Diver course and successfully completed a sanctioned CPR program within the past 24 months. The Emergency First Response Primary Care (CPR) and Secondary Care (First Aid) courses meet these requirements. 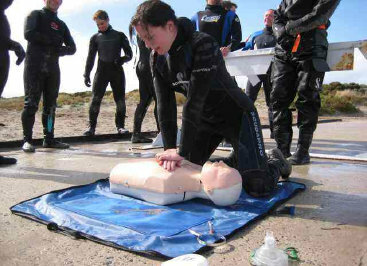 The course is designed to give you the knowledge and skills to become a diver who’s prepared to deal with diver stress management, out of air emergencies, unconscious and panicked diver rescues, as well as how to use specialized first aid equipment.